Interest from investors is turning out to be as fleeting as the photos in the app itself. A recurring theme for the waning interest seems to lie in the ephemeral nature of the app—and it’s lack of appeal to older demographics. Its inability to reach users outside of the Millennial age range might be one of the greatest factors in Snap’s undoing. If the company is to generate significant ad revenue, then they need to reach the pockets of older generations. But how can Snapchat reach outside of their current target demographic? Simple: The company must find new ways to let users hold onto their pictures and videos. 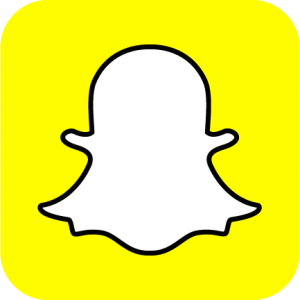 “It might be early days, but marketers are seeing little return when advertising on Snapchat. They also seem more interested in spending ad dollars on the company’s newfound rival: Instagram,” George Slefo explains in a recent AdAge article. Meanwhile, Facebook’s newly launched Messenger Day poses yet another major threat to Snap Inc.
Not only are Facebook and Instagram able to mimic what Snapchat is doing well, but they also add a layer of staying power that appeals to older demographics. If younger Facebook or Instagram users want to post a story that disappears in 24 hours, they can choose to do so, but older users can also post and share photos and videos they want to keep and look back on. Snapchat is lacking this in-app functionality. The lack of staying power in Snapchat might be the reason older generations aren’t hooked. Feelings of sentimentality and nostalgia tend to grow over our lifetimes. The desire to look back and re-live memories becomes a necessity. To older generations, the entire point of taking photos and videos is to hold onto fleeting moments—not to capture them for only 24 hours. If Snapchat is going to appeal to older generations and compete with Facebook and Instagram, then they need to come up with ways for users to keep, share, and store memories. They don’t need to completely turn away from disappearing photos and videos, but they do need to give user more options. With Goldstone’s nearly 3 decades as a well-known photo industry and ecommerce executive, he is often asked to share advice on the trending industries. “While this past New York Times story — when asked how to help Kodak compete in a world of digital photography went overlooked — I hope this time Snap will listen,” encouraged Goldstone. So, while Millennials and younger generations are focused on the here and now, older demographics tend to yearn for the past. But imagine the possibilities if Snapchat were to merge the two together—we’d see puppy-dog filters on vintage portraits or browse permanent collections of Stories that document every stage of life. In order for Snapchat to succeed, they must find ways to connect the past and present. The company needs to develop new and creative ways to appeal to users of all ages—it’s the only way they’ll avoid pulling a permanent disappearing act. This KRON4 TV news story explains why digitizing your pictures is trending and a vital family project to undertake. This entry was posted in Blog and tagged #Snap, SnapChat by Monika Jansen. Bookmark the permalink.